Belle Meade Blvd. 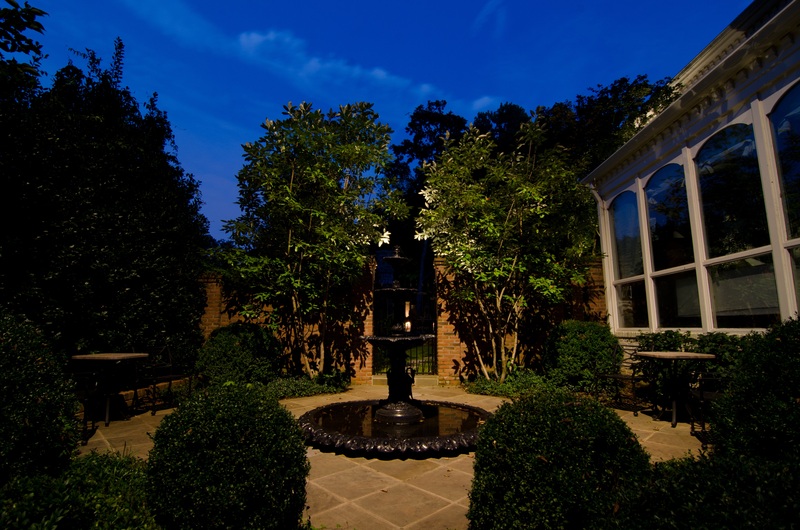 outdoor lighting by Outdoor Lighting Perspectives of Nashville. This past weekend marked not only the arrival of August, but also the inaugural arrival of National Curb Appeal month. This new, annual event is dedicated to helping homeowners focus on ways to add value and design appeal to their home’s exterior. One of the best ways to add loads of curb appeal to your home, and landscape, is through the addition of outdoor lighting. Look through the pages of any upscale home or garden magazine and outdoor lighting takes center stage.You may think that creating that same type of nighttime magic, and elegance at your home is only a dream. However, nothing could be farther from the truth. Outdoor Lighting Perspectives of Nashville has opened up a world of possibilities to homeowners with our professional outdoor lighting designs enabling you to not only daydream about outdoor lighting at your home, but make that vision a reality too! The Idea and Inspiration: When most people think of lighting the outside of their homes, they usually just consider safety and security. Important considerations, however, landscape lighting can be incorporated into an overall landscape plan that also adds to the overall beauty of your property. The lighting of steps, paths and walkways will make the grounds of your property safer; the lighting of the home façade, trees, and outdoor living spaces will add significantly to the aesthetics and make the home more inviting. And there is the obvious benefit of added security by eliminating dark areas of the yard. This entry was posted in Focal point outdoor lighting, Landscape Lighting, Nashville outdoor living, Outdoor Lighting, Outdoor lighting design, Outdoor Lighting Installation, Residential outdoor lighting and tagged architectural lighting, August is National Curb Appeal month, Fountain lighting in Belle Meade Nashville TN, Garden lighting, Landscape Lighting, Lighting unique areas of your Nashville landscape, Nashville architectural and facade lighting for classic homes, Nashville focal architectural outdoor lighting, Nashville focal tree lighting, Nashville TN garden and landscape lighting, Nashville tree lighting, Nashville tree lighting techniques, National Curb Appeal Month, Outdoor lighting in Belle Meade Nashville TN, outdoor lighting Nashville, Outdoor Lighting Perspectives of Augusta, Transformation Augusta by outdoorlightingnashville. Bookmark the permalink.